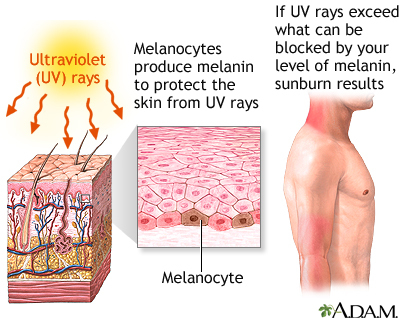 When the skin is overexposed to the ultraviolet rays of the sun a sunburn can occur. The symptoms of a sunburn can take up to 24 hours to appear. The skin can be red, warm, tender, blistered, and swollen.